STT-MRAM (also called STT-RAM or sometimes ST-MRAM and ST-RAM) is an advanced type of MRAM devices. STT-MRAM enables higher densities, low power consumption and reduced cost compared to regular (so-called Toggle MRAM) devices. The main advantage of STT-MRAM over Toggle MRAM is the ability to scale the STT-MRAM chips to achieve higher densities at a lower cost. 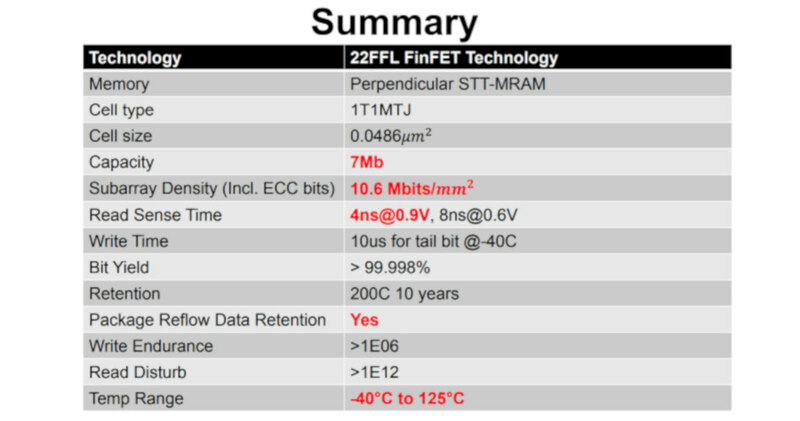 STT-MRAM has the potential to become a leading storage technology as it is a high-performance memory (can challenge DRAM and SRAM) that can scale well below 10nm and challenge the low cost of flash memory. STT stands for Spin-Transfer Torque. In an STT-MRAM device, the spin of the electrons is flipped using a spin-polarized current. This effect is achieved in a magnetic tunnel junction (MTJ) or a spin-valve, and STT-MRAM devices use STT tunnel junctions (STT-MTJ). A spin-polarized current is created by passing a current though a thin magnetic layer. This current is then directed into a thinner magnetic layer which transfers the angular momentum to the thin layer which changes its spin. A "regular" STT-MRAM structure (similar to the one you see above) uses an in-plane MTJ (iMTJ). Some STT-MRAM devices use a more optimized structure called perpendicular MTJ (pMTJ) in which the magnetic moments are perpendicular to the silicon substrate surface. Several companies, including IBM and Samsung, Everspin, Avalanche Technologies, Spin Transfer Technologies and Crocus are developing STT-MRAM chips. In April 2016 Everspin announced that it started shipping 256Mb ST-MRAM samples to customers. 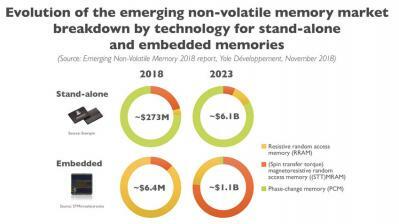 The new chips demonstrate interface speeds comparable to DRAM, with DDR3 and DDR4 interfaces. Volume production is expected "soon". 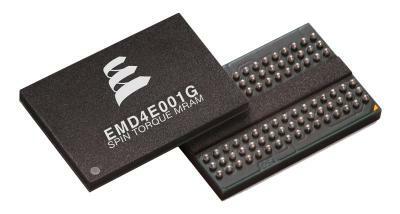 In August 2016 Everspin started sampling pMTJ-based ST-MRAM chips. The first chips are also 256Mb in size, but the pMTJ versions offer improved performance, higher endurance, lower power, and better scalability compared to previous iMTJ ST-MRAM products. Everspin is now ramping out 256Mb pMTJ ST-MRAM production and is developing a scaled-down 1Gb version. 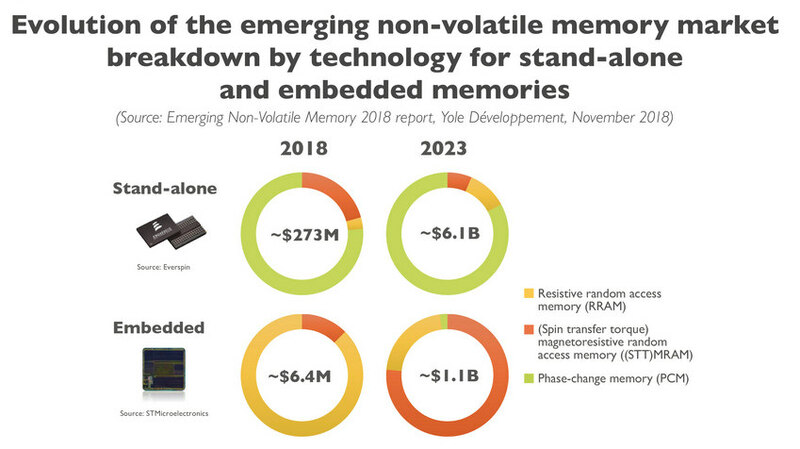 STT-MRAM is expected to lead the embedded memory race as many foundries are rushing to add MRAM support and expertise to their product lines. STT-MRAM is promising for enterprise storage SCM. 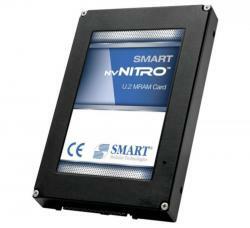 SMART Modular Technologies has launched its new nvNITRO U.2 Storage Accelerator that features Everspin's STT-MRAM technology. 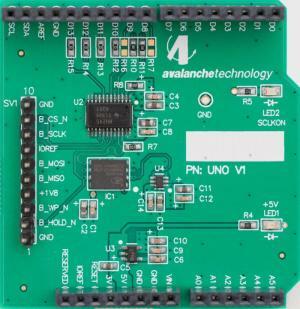 The nvNITRO is ideally suited for synchronous logging applications such as those used for financial trading. SMART's nvNITRO U.2 Storage Accelerator uses a standard NVMe interface that is 1.2.1 compliant and provides less than six microseconds of industry-leading low latency access with persistence so that all logging data is safe. The U.2 form factor brings with it the advantage of being hot-swappable. Tom Coughlin posted an interesting overview of the 2018 MRAM Developer day, which is well worth a read. Besides the conference report, Coughlin also updates on its market estimates - the market for MRAM and STT-MRAM memory solutions will experience fast growth - growing from $36 million in 2017 to about $3.3 billion in 2028. This growth will be at the expense of SRAM, NOR flash and some DRAM. 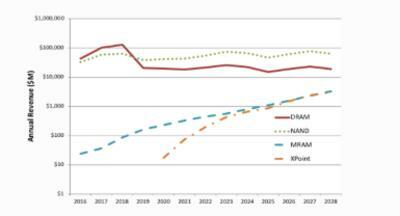 The demand for MRAM memory will result in an increased demand for MRAM production equipment, of course. MRAM equipment revenues will reach $792 million by 2028, according to Coughlin Associates. 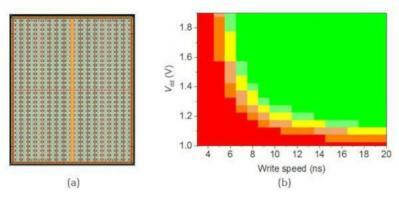 Researchers from UC Berkeley and the Huazhong University of Science and Technology developed sub 10-nm STT MTJs that shows a thermal stability factor of more than 80. 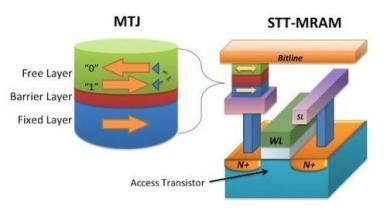 The reserachers say that the highly efficient and dense MTJ could lead to higher efficiency and density STT-MRAM devices and spin-based computers.